Feliks Berisovic reluctantly leaves his sequestered life in unnamed East European state to travel to Scotland on unofficial government business. Boris, Feliks’ influential and possibly criminal father, has ordered his estranged son to bring home Irina Arbinisi, the grand-daughter of the last Archduke, who is living and working in Glasgow. Newly released from its Russian yoke, his country is looking to the past to re-establish its identity. 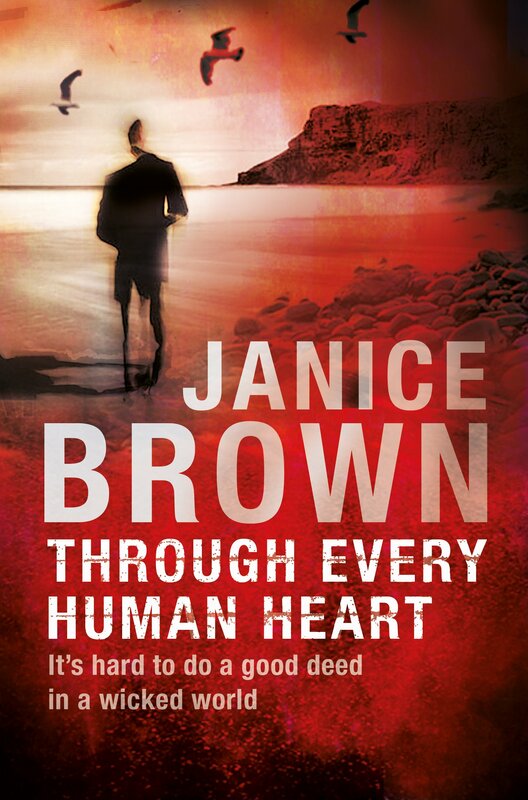 So begins Janice Brown’s second adult novel which is fraught with misunderstandings and miscommunications, leaving Feliks with increasingly farcical complications to what should be a simple mission. Irina Arbinisi, a well-heeled exile from her East European homeland, runs a successful design company in the West End of Glasgow. One day she sends Dina, her assistant, to her well-appointed home to pick up a disc she needs for a client. Dina walks in on two men who claim to be plumbers fixing a problem which she finds strange but takes at face value. When she finds Irina’s beloved cat dead her scream rouses Feliks and another man, who are waiting outside for Irina, to burst in to save her. The four men fight and one plumber is stabbed while the other is knocked out. Dina is then bustled into a car by Feliks all the while insisting she is not Irina Arbinisi. Eventually Feliks believes her but cannot let her go until he has made contact with Irina. What follows is a madcap chase around Scotland involving Feliks and Dina, Irina and a professional criminal, the police, and a secret service agent. Brown has created some interesting characters. Feliks, with his badly scarred face, is as damaged on the inside as he is outside giving him a sinister aura. He is against everything his father stands for but in the brave new world of independence are their aims as similar as their methods are different? Dina, originally from the Scottish islands, initially comes across as a bit of an airhead but as the pursuit becomes more dangerous she shows her mettle. Irina, on the other hand, is revealed as a vain woman with little regard for anyone but herself. The professional criminal, a man with many names, is pleasingly slippery, able to come up with a host of inventive lies in order to keep Irina on his side. The secret service agent seems to be helpful but just whose country is he serving? 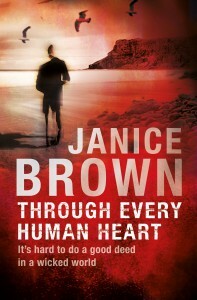 Brown treads a fine line in mixing crime and comedy but her careful plotting means that one never overshadows the other. She also trusts her readers by introducing new characters with the merest of background information, only slowly filling in their backstory as the plot progresses. At times the novel feels a bit undercooked, as if could benefit from being opened out on a larger canvas with more room to develop the characters even further. Overall it is a pacey read with some amusing elements of comedy in amongst the drama and a hint of a happy ending for the troubled Feliks.